: I recently asked beginners what their biggest obstacle to learning yoga was and a number of people responded, balance. 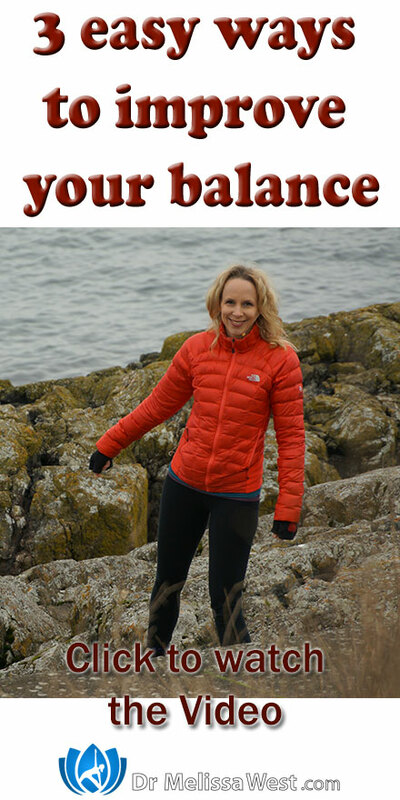 Today I want to share with you three simple things you can do in your everyday life to improve your balance on and off your yoga mat. Balance relies on your eyesight so that you can figure out where you are in space in relation to other objects. Our eye muscles and eyesight are degenerating every day from lack of use and screen time. When we spend hours a day staring at screens we stress our visual system. Take regular breaks from your screens and do a little eye yoga. Today I will show you some eye yoga. In yoga we have something called drishti. It is all about where you focus, in fact it will help you with your balance. Here is a free yoga class on drishti. Start by focusing on something close to you, this will make balance easier and help you to stay stable. When you look at something close to you, you will notice when you move even slighting and be able to adjust your balance unconsciously. When you look at something further away, these subtle peripheral movements are more challenging to see. This is training your vestibular system, the sense organs in your head (mostly your ears) that regulate your equilibrium and tell your brain where your head is in space. When you are out walking look on the ground in front of you. Then challenge yourself to walk while focusing on the horizon. (Try this one on a smooth and flat surface). This is a great way to build your balance. Our somatosensory system relies on nerves in our joints, and from the pressure and vibration sensors in our skin to sense where we are in space and to help us with balance. As biomechanist Katy Bowman has pointed out, we spend most of our time walking on smooth surfaces in our homes such as floors and in cities such as sidewalks. This causes a lot of our proprioceptive capabilities to atrophy. The result is a loss in our balance as well. Next time you are outside challenge yourself to walk on uneven surfaces. Balance is one of the components of physical fitness like muscular strength, flexibility, cardiovascular strength and endurance. The more you practice it, the better it becomes. What things do you do in your everyday life to improve your balance? Leave your comments below.